Read this first to be informed about the group. 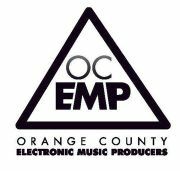 A forum dedicated to questions, answers, and advice regarding music production. If you wrote a recap and/or notes of our meet-ups, please post them here. Use this forum if you want to buy or sell gear, or if you want to find people to collaborate. Did you find a great deal for music gear or software? Then post it here! Here you can post everything which does not fit into the other forums.